What’s the biggest object is the known universe? There are a many articles and videos on this subject. 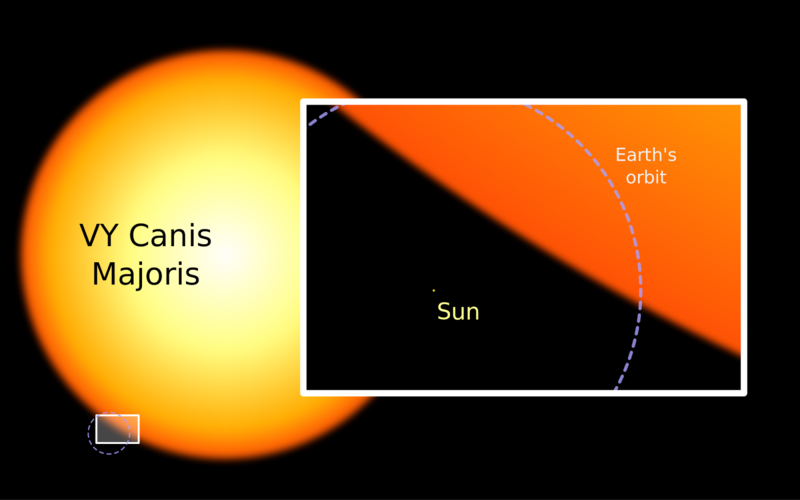 If we’re talking about the largest star, maximum sites proclaim that VY Canis Majoris is the largest out there in the known universe. VY Canis Majoris is some 3,600 times bigger than the sun. That’s quite big, big enough to swallow most of our solar system; nevertheless, it’s not the largest. Here are 6 of the most gigantic objects in the known cosmos.